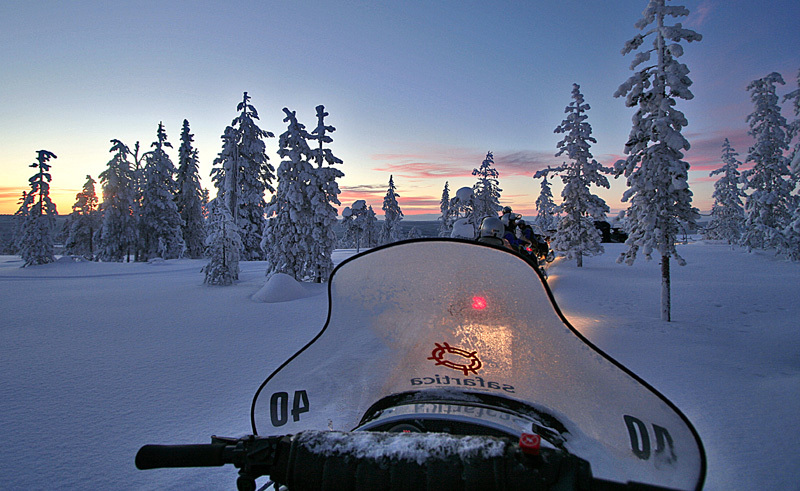 After a safety briefing and instructions on how to drive a snowmobile, you start the engines and drive into the dark night in search of clear skies. In the forest you are away from artificial light and the sky above sparkles with bright stars. With luck and crossed fingers you may also see the Northern Lights make an appearance. The driving distance covered is approximately 28km. Stops are made on route to change drivers. Winter clothing is provided. Small children will be pulled in a sledge behind the guides snowmobile.